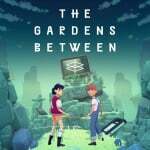 "An homage to the enduring power of friendship"
The Voxel Agents has announced that its upcoming adventure puzzle game The Gardens Between will arrive on Switch in Q3 2018, coinciding with its release on PS4 and PC. Arina, a headstrong girl, and Frendt, a boy wise beyond his years, fall into a series of vibrant, dreamlike island gardens peppered with everyday objects that hold a special significance to the duo. Together they embark on an emotional journey that examines the significance of their friendship: the memories they’ve built, what must be let go, and what should never be left behind. Designed as an homage to the enduring power of friendship, The Gardens Between places you in control of not the characters themselves, but the force which will change and shape their relationship: time. In the mysterious realm they find themselves transported to, cause and effect are malleable and time flows in all directions. Solve puzzles to reach the apex of each isle and light up constellations of memories, illuminating threads of a bittersweet narrative. The Switch version will make use of the console’s HD Rumble feature to help bring the game’s lush world to life, and we expect to hear more news on a confirmed release date in the coming months. Until then, though, why not let us know your initial thoughts on the game in the comments below. Certainly sounds intriguing. This one goes on the pile of 'Wait for review' games. Yo, i have the power of Chronos. Manipulating time (Or even Stop the time) is one of the Most Taboo for Sailor Pluto. Looks lovely and the gameplay/story sound both interesting and fun. The animation style is gorgeous. I will be keeping an eye out for it arriving. Gorgeous look to this! I hope the gameplay is just as enticing. Wonder if it feels right on docked mode.